Human Centered Data: What Should Public Spending Data Tell Us?  Kaitlin Devine and Julia Keseru from Sunlight Foundation will head up this workshop at OKCon on Tuesday 17 September, 14:45 – 16:00 @ Room 14, Floor 2. The workshop will ask the basic question: If there were no legacy systems or arcane accounting mechanisms to determine the default structure of fiscal data released to the public, what questions should it be able to answer? Release of fiscal data (budgets, expenditures, audits) has increased in recent years, but is largely a function of how a government happens to format its budget or accounting systems. But is this indicative of how people external to the government think about government spending? Many citizens think about government spending along the lines of broad priorities or goals of government, such as those discussed in political debates (i.e. reducing homelessness, Iraq war spending). Very rarely do expenditures line up exactly with these goals and civil society organisations usually struggle to make financial information accessible and relevant to the public. This workshop will gather diverse users (and non-users) and distill the natural expectations of what this data should provide, and contrast it with what currently exists. Disclosure so far has focused on getting what the government collects to be public. Is it time to move forward with changing how they collect it in the first place? The workshop space can accommodate up to 20 people. To sign-up, express your interest in the topic and get in touch with Kaitlin and Julia, please write to publicspendingdata@okcon.org. Link to the workshop in the OKCon schedule.